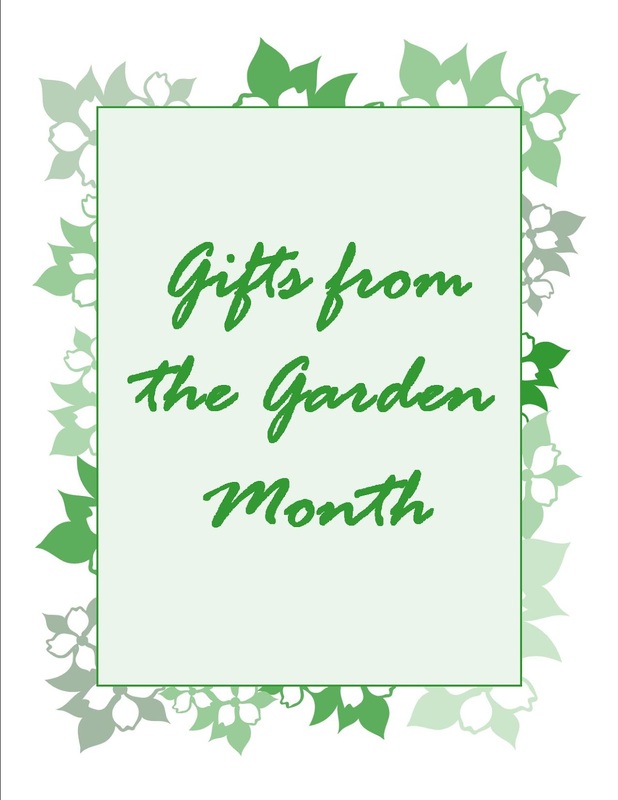 Come to the library this month and check out our multi-media display GIFTS FROM THE GARDEN MONTH. 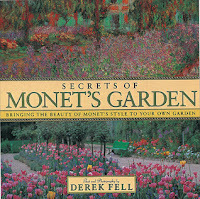 I am especially intrigued by our beautiful books on the history of gardens in art and painting. Below are just a few. titled THE GARDEN or the DVD Gardens of the World with Audrey Hepburn. 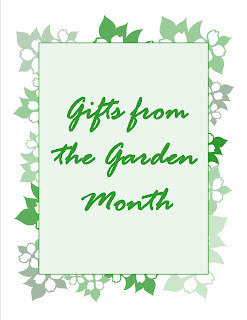 There are books on garden design, garden history, botanical drawing, edible landscaping, etc. 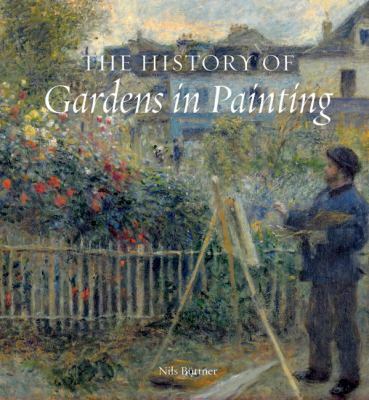 The History of Gardens in Painting by Nils Büttner. "The creation of gardens was among the first achievements of early civilizations, and garden design was already highly developed in antiquity. Pictures of gardens are a reflection of the social, historical, and aesthetic context in which gardens were conceived. The focus of this captivating book is not the gardens themselves or the different concepts of the garden, but rather the representation of gardens in paintings. 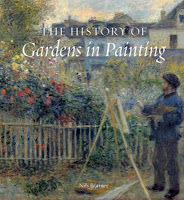 The author examines why artists paint gardens by covering the varied and lively 2,000-year history of the garden picture using 180 masterpieces of gardens as examples. The text begins with a look at ancient Rome, when paintings of gardens, as found in villas in Pompeii, were already valued as works of art. The wide-ranging coverage also includes pictures of charming medieval gardens in books of hours; Botticelli's masterwork La Primavera, set in a grove of orange trees; views of well-known historic gardens, such as those at Versailles; painter's gardens, as for example, Monet's Giverny; and modern gardens depicted by Frida Kahlo, Andy Warhol, and David Hockney, among others. For collectors of art history books and garden books, this lovely volume should appeal to a broad audience." 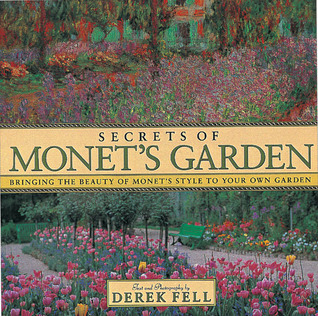 "Derek Fell examines Monet's planting philosophies, shedding light on his use of color, sense of structure, extravagant combinations of form and texture, and favorite flowers. 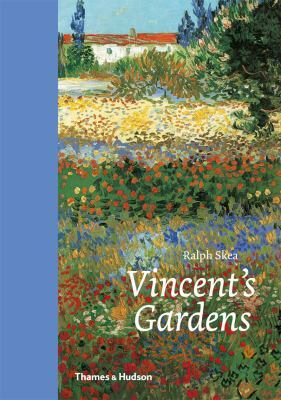 Vincent's Garden: paintings and drawings by Van Gogh by Ralph Skea. "A book for gardeners and art lovers everywhere: a selection of Vincent van Gogh's garden and flower paintings and drawings. Presents Van Goghs lifelong love affair with the garden. This title illustrates a range of works, from iconic oils such as Irises to exquisite etchings and intimate sketches."